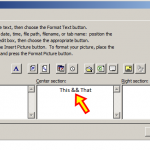 Establishing your Page Setup preferences can involve a lot of steps. 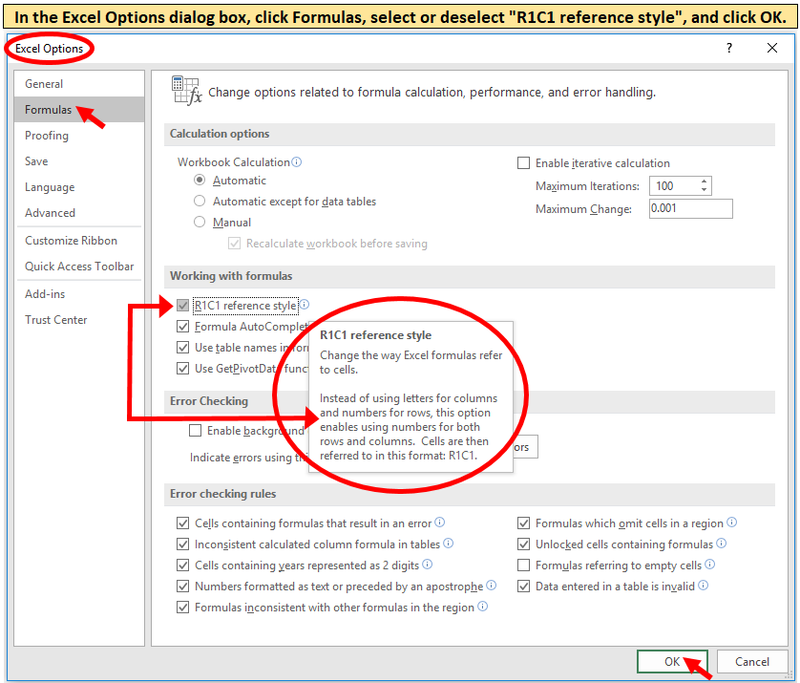 You won’t want to repeat those same steps over and over for each worksheet where you’ll want the same preferences. 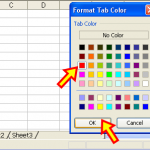 Here’s a tip for newcomers to Excel, for the ability to color your worksheet tabs. 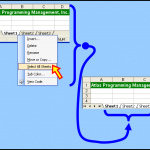 This feature has been available starting with Excel version 2002. 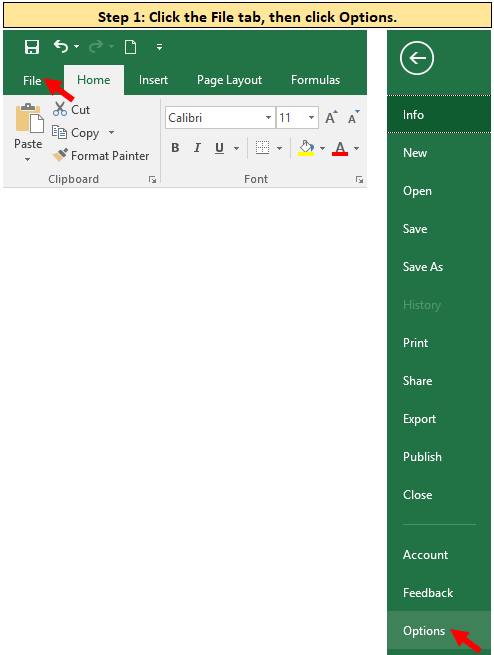 Right-click the worksheet tab you want to color, and select Tab Color from the pop-up menu. 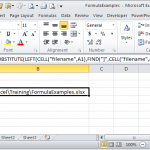 Here are two formulas, one to return the active worksheet’s name, and the other to return the active workbook’s full path and name. 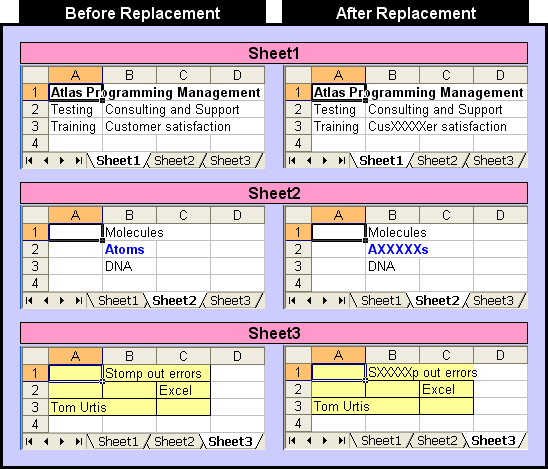 In each case, please be sure to save the workbook at least once. 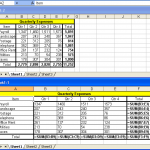 Did you ever want to watch your spreadsheet in two separate windows in real time, where in one window you can see its values, and in the other window you can see its formulas? 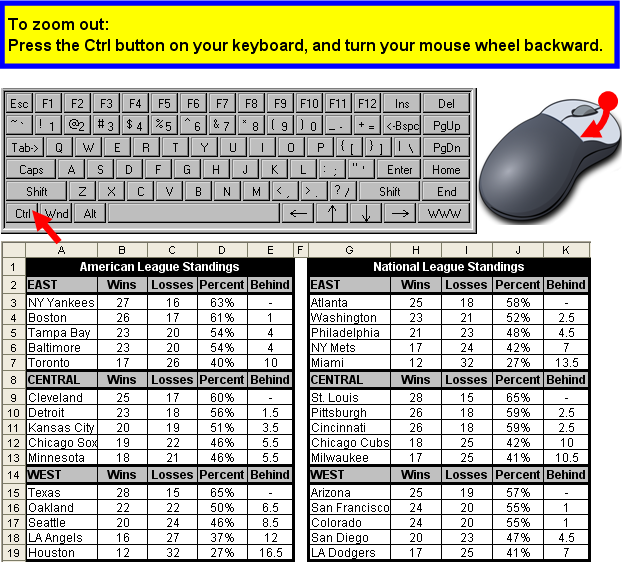 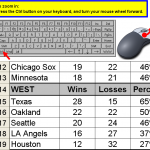 You can press the Ctrl key on your keyboard while turning your mouse wheel forward to zoom in, or backward to zoom out. 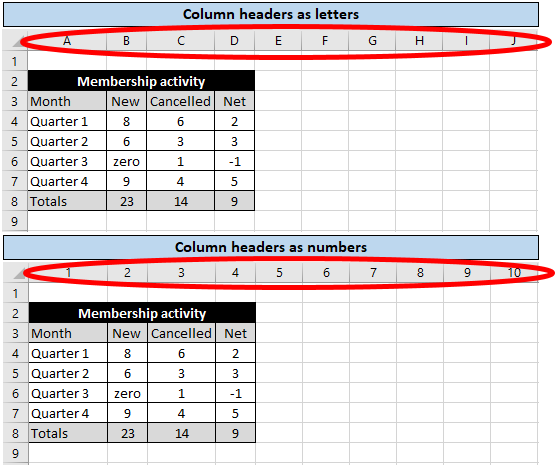 Here are formulas to display the column letter in any individual cell, or to list column letters horizontally across a row, or vertically down a column. 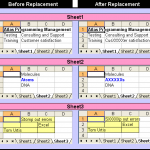 Sometimes overlooked is Excel’s ability to Find and Replace across all worksheets in a workbook, without needing to select all the worksheets. 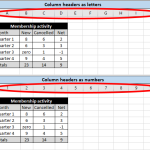 • Select any cell in any sheet. 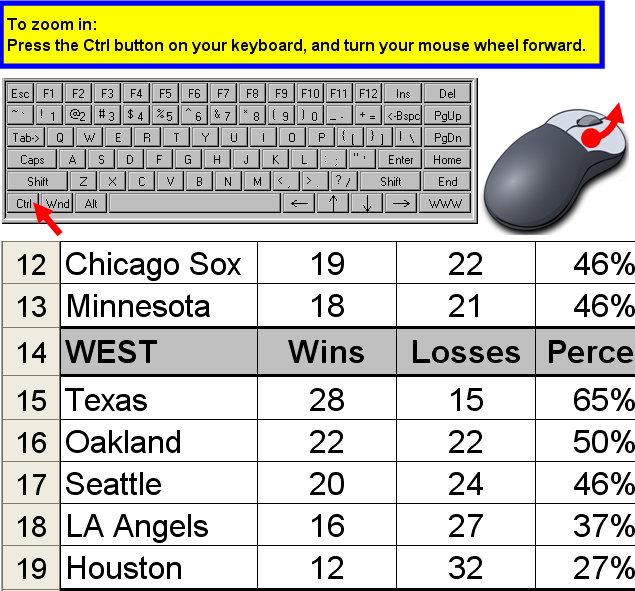 I previously posted this example for making changes on all sheets at once. 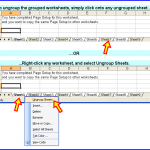 Here’s a quick and easy solution when the changes you want to put on all worksheets have already been made to one worksheet.